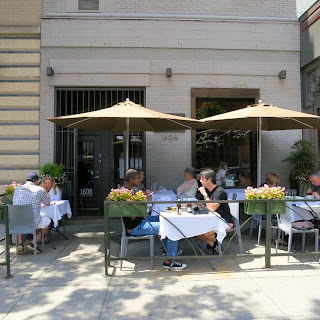 Amongst all of the new construction and all of the new restaurants lies Rice, a Thai restaurant that has been on 14th Street in the Logan Circle area for many, many years. I hadn't dined there in several years and thought this was as good a time as any to try them again. Me and my friend arrived around 7 p.m. on a Monday to a mostly empty restaurant. Inside, the dark wood tables, red fixtures, and dim lighting all contributed to an intimate atmosphere. Our server immediately approached us and asked us if we'd like to have a drink. 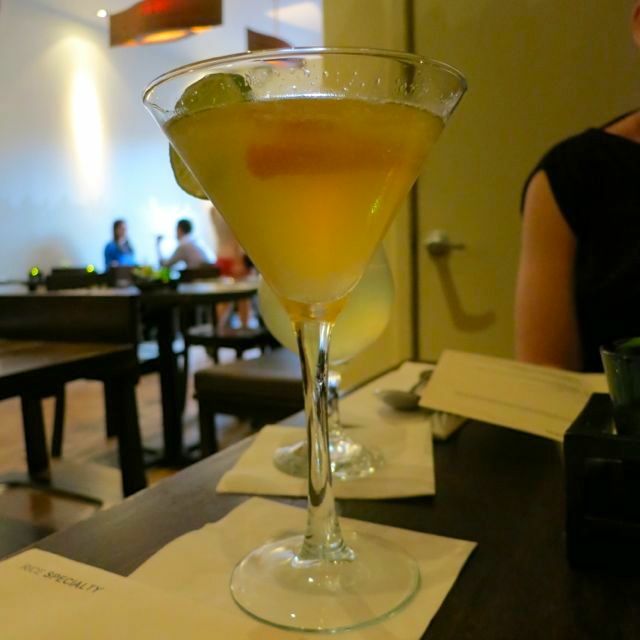 I decided to order the Tom Yum martini because it was listed as spicy! And oh was it spicy?! This drink is a 10 on a 10-point scale. Only order it if you can take the heat! As I inquired as to what their vegan options were, there was clearly a language barrier. 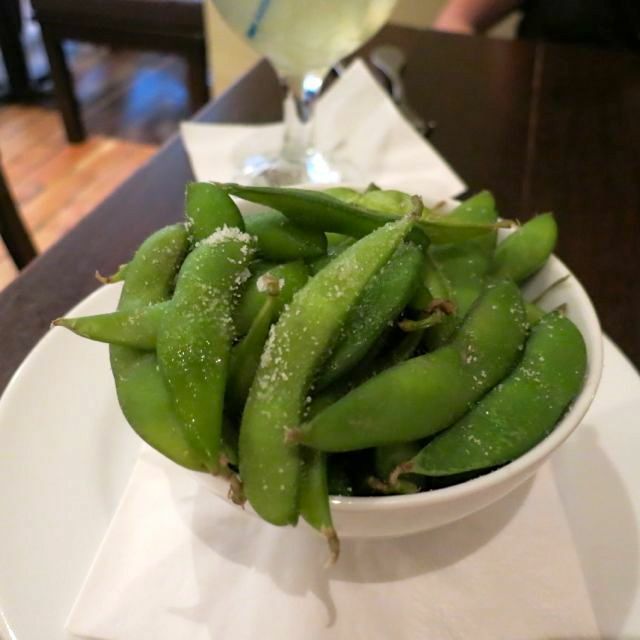 Eventually, once we sorted out exactly what the definition of vegan was, she advised us to order the Soft Garden Roll or Edamame. We hemmed and hawed for a bit and eventually decided to start with just the garden roll, but I guess there was some miscommunication because she brought us both of the appetizers. Oh, well. The edamame wasn't anything special -- just edamame with sea salt. The soft garden rolls were typical summer rolls wrapped with basil and rice paper wraps and served with peanut sauce. Again, nothing special. For my entree, I took a look at the Healthy Green menu. At the top of the menu, it stated that everything on this menu was vegetarian and therefore nothing is cooked in fish sauce. But, when I asked my server if I could order the curries, she advised against it because she said there is a little fish sauce in the curry. She specified that it was just a little as if I might be okay with that. Um, no. When I repeatedly asked why it stated that all items were vegetarian if there truly was fish sauce in the dishes, she could not answer me and would not allow me to speak to the chef. That was frustrating. 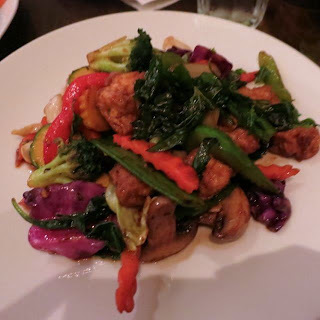 Finally, I just decided to play it safe and order the Sauteed Basil Tofu and mixed vegetables. This came with peas, cabbage, broccoli, green peppers, carrots, and deep-fried tofu in a mushroom sauce. 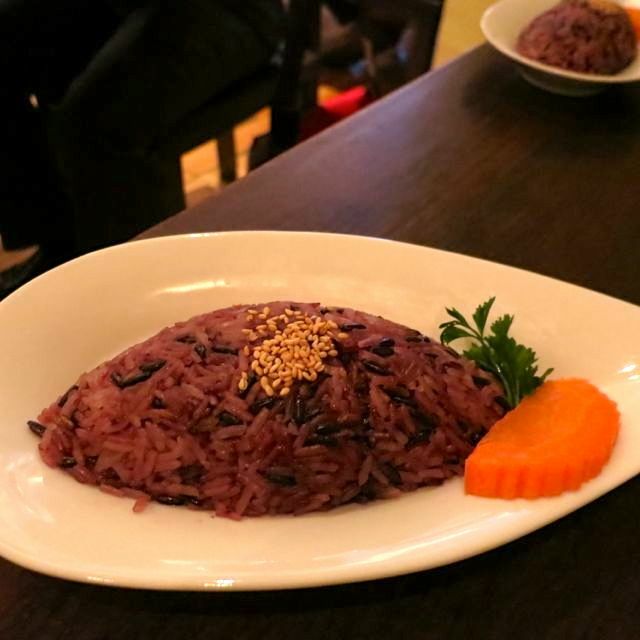 It was served with their jasmine sticky rice -- I chose the black version. The dish was good, but, once again, nothing special. All in all, I was disappointed with the experience. The entree was $14 for the same type of food I can get at any Thai restaurant for half that. The rice is very good, but it is more of a dessert sticky rice than a rice I want to eat with my entree. And the fact that they are putting fish sauce in dishes that state there is no fish sauce is truly disturbing. I would advise vegans to avoid this place. 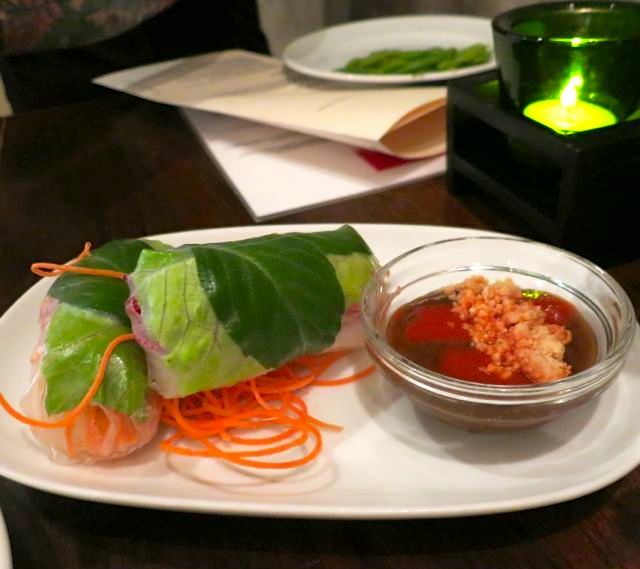 Go to a Thai restaurant that truly respects the vegan diner.